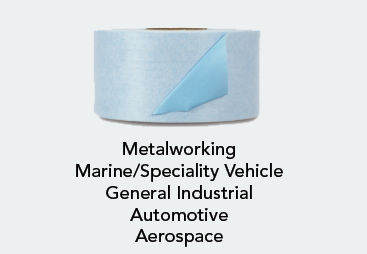 Scotch® General Purpose Cloth Duct Tape 393 features a polyethylene coated cloth backing with a rubber adhesive used primarily in moisture-proofing and sealing. The backing offers a good vapor barrier to prolong tape bond and high tensile strength for demanding applications. ScotchÂ® General Purpose Cloth Duct Tape 393 features a polyethylene coated cloth backing with a rubber adhesive used primarily in moisture-proofing and sealing. The backing offers a good vapor barrier to prolong tape bond and high tensile strength for demanding applications. Long Description <p>Â </p> <br> <em>Polyethylene coated<br> cloth backing provides<br> a good vapor barrier<br> to prolong tape bond</em> <strong>Dependability and Versatility for Bundling, Sealing, Reinforcing and More</strong><br> With high tack, conformability, strength and easy tear properties, <a href="http://solutions.3m.com/wps/portal/3M/en_US/Adhesives/Tapes/Brands/Scotch-Tapes/" rel="nofollow">Scotch</a>Â® General Purpose Cloth Duct Tape 393 is ideal for moisture proofing and fiberglass insulation sealing in the building and construction industries. The polyethylene-coated, cloth- reinforced backing conforms to curved surfaces and resists moisture and humidity while the natural rubber adhesive gives you instant stick and long-term hold, even on irregular surfaces. The tape tears easily, across or down, without curling industries.<br> <br> <strong>Recommended Applications</strong> <ul> <li>Reducing noise transmission when used as a flexible connector</li> <li>Sealing fiberglass insulation or to cover thermal insulation</li> <li>A waterproof covering over pipe insulation</li> <li>Many sealing and general purpose industrial applications</li> </ul> <strong>What is Duct Tape?</strong><br> Originally developed for heating, ventilating and air conditioning (HVAC) applications, duct tape is used in a variety of maintenance, repair and construction settings. In addition to the traditional silver, it is sold in an array of colors that enhance utility and aesthetics. The sturdy cloth-reinforced tape can be torn from the roll and sticks instantly, providing solutions for patching, bundling, reinforcing, tabbing, taping/splicing insulation, capping pipe, securing conduit ends, marking, labeling, temporary repair, hanging polyethylene drapes and protecting against light sandblast overspray. Duct tape (sometimes mistakenly referred to as "duck tape," is used in construction, electrical, industrial, marine, military, abatement, trucking and automotive markets, and is a mainstay in every toolbox. <br> <em>Natural rubber adhesive<br> sticks well to many<br> surfaces. Water-resistant<br> backing seals and protects<br> against humidity and<br> moisture</em> <br> <br> <strong>Choosing the Right Duct Tape</strong><br> One of the most important points to consider when choosing a duct tape is how it is going to be used. 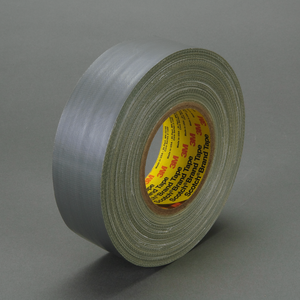 When it comes to choosing a duct tape that meets the need for a particular job, consider the following: Performance Plus and Outdoor Masking Tapes are best in class tapes for indoor/outdoor use, offering clean removal and long term weatherability. Extra Heavy Duty, Heavy Duty, and Multi Purpose duct tapes provide reliable performance for demanding contractor, MRO and industrial job site applications. And General Purpose duct tapes offer cost-effective options for general and lighter duty applications such as bundling, sealing, holding, and identifying.<br> <br> The need for qualities such as strength, moisture resistance, abrasion resistance, heat resistance, and clean removal are among the issues that impact the effectiveness of a duct tape. Two of three principal factors that make up a tape's strength are its backing and adhesive. The thicker the backing, the greater tensile strength (the resistance to breaking under tension), moisture, and abrasion resistance provided. 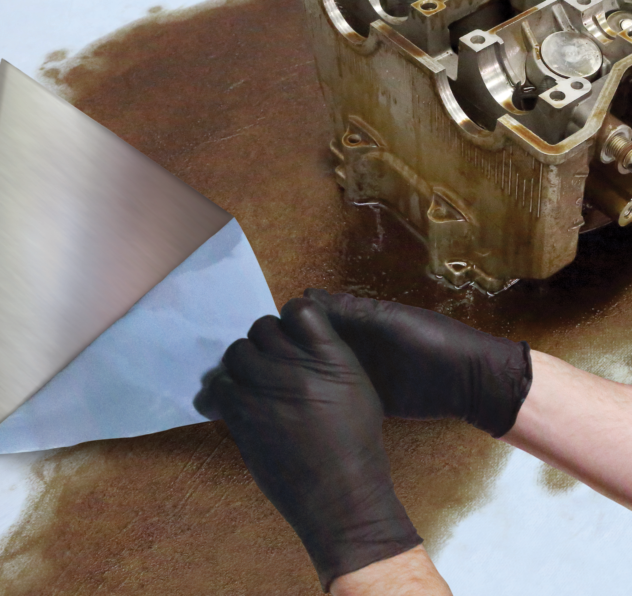 A rubber-based or synthetic rubber adhesive provides instant stick, a strong bond, and long-lasting hold, even in moist conditions. Lastly, the distinctive cloth scrim, laminated between the backing and the adhesive, adds additional strength and also helps guide straight horizontal and vertical tearing.<br> <br> One last and often overlooked fact about tapes in general, is that they all need to be stored correctly and they all have a shelf life. Weak adhesion, lifting, curling, breakage, and difficulty in removal are more often than not, attributable to age or improperly stored tape, as opposed to quality. In all cases, care should be taken to read all product information thoroughly. In particular, the tape's specifications should be weighed against the task at hand to ensure successful, cost-effective outcomes.<br> <br> <strong>Bringing Better Ideas to the Surface through Science and Innovation</strong><br> In the 3M Industrial Adhesives and Tapes Division, they apply the science of adhesion to deliver innovative solutions that improve the design and manufacturing processes of companies around the world. In the end, their technologies help customers like you deliver competitive products to the market faster and more efficiently.